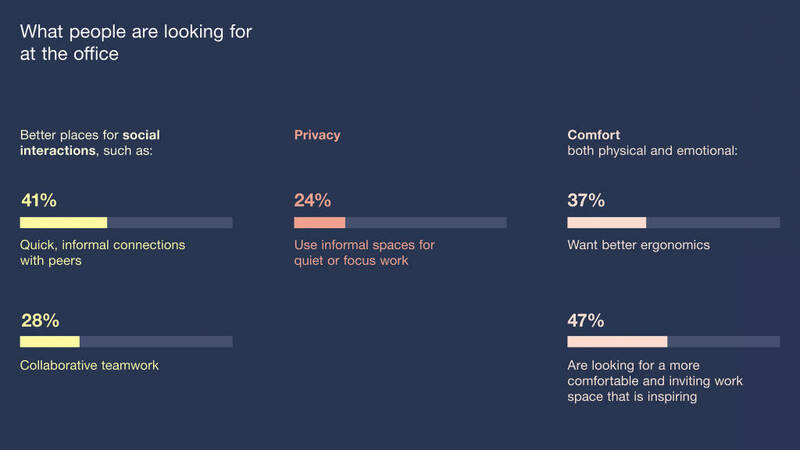 40% of those surveyed by Steelcase, however, said their employers did not provide enough of these places, while 53% said they couldn’t find the right type of space. This is despite 43% believing that informal areas allowed them to form deeper relationships with colleagues and helped to build more trust across the team. Interestingly, although both younger and older generations regularly used these spaces, they had different reasons for doing so. Millennials are reportedly using dining/café settings to carry out focused work, while the older generations are using these areas for socialising and collaboration. 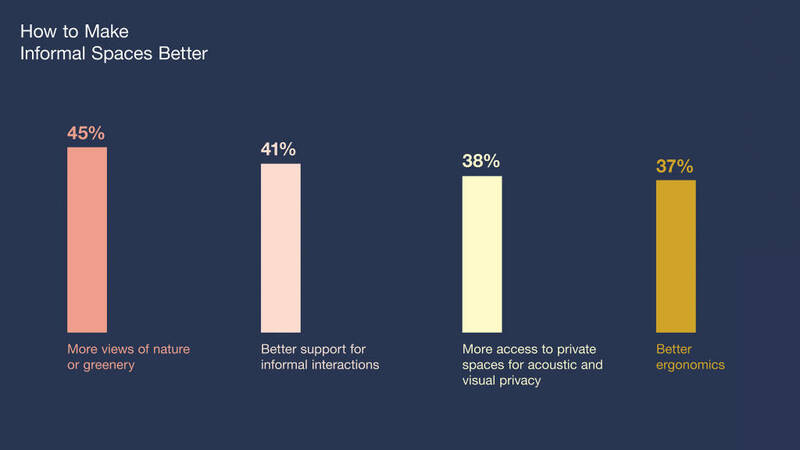 Younger people are also using lounge spaces for privacy, while older generations are using them for social gatherings. Steelcase has also identified a cultural shift, with office workers in the emerging economies of China and India spending far less time at their desks than in other countries. Organisations in these regions are perceived to be adopting a more progressive approach, according to the research, by providing more informal spaces for their employees. Meanwhile, employers in the US and Germany appear to be more traditional, choosing to allocate single-ownership desks to staff over shared workstations.